Helene Wecker’s dazzling debut novel tells the story of two supernatural creatures who appear mysteriously in 1899 New York. Chava is a golem, a creature made of clay, brought to life by a strange man who dabbles in dark Kabbalistic magic. When her master dies at sea on the voyage from Poland, she is unmoored and adrift as the ship arrives in New York Harbor. Ahmad is a jinni, a being of fire, born in the ancient Syrian Desert. Trapped in an old copper flask by a Bedouin wizard centuries ago, he is released accidentally by a tinsmith in a Lower Manhattan shop. Struggling to make their way in this strange new place, the Golem and the Jinni try to fit in with their neighbors while masking their true natures. Surrounding them is a community of immigrants: the coffeehouse owner Maryam Faddoul, a pillar of wisdom and support for her Syrian neighbors; the solitary ice cream maker Saleh, a damaged man cursed by tragedy; the kind and caring Rabbi Meyer and his beleaguered nephew, Michael, whose Sheltering House receives newly arrived Jewish men; the adventurous young socialite Sophia Winston; and the enigmatic Joseph Schall, a dangerous man driven by ferocious ambition and esoteric wisdom. Meeting by chance, the two creatures become unlikely friends whose tenuous attachment challenges their opposing natures, until the night a terrifying incident drives them back into their separate worlds. But a powerful menace will soon bring the Golem and the Jinni together again, threatening their existence and forcing them to make a fateful choice. 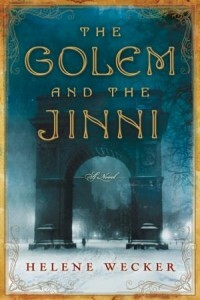 Marvelous and compulsively readable, The Golem and the Jinni weaves strands of folk mythology, historical fiction, and magical fable into a wondrously inventive and unforgettable tale. 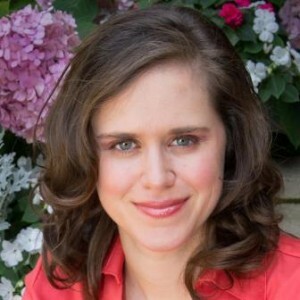 Helene Wecker received a B.A. from Carleton College in Minnesota and an M.F.A. from Columbia University in New York. A Chicago-area native who’s made her home in Minneapolis, Seattle, and New York, she now lives near San Francisco with her husband and daughter. The Golem and the Jinni is her first novel. Visit Helene at her website, helenewecker.com, and connect with her on Facebook. I am so excited for this book to come out 🙂 It looks amazing.